LOW Price Amazon Product LAUNCH strategy – DON'T DO IT! In an attempt to get ahead, many people are now trying to do something similar to what used to work very well on eBay. Initially, they launch the product at a very low price. Then, as sales and reviews start to come in, and as their organic rankings start to mature, they gradually increase the price until the target price is reached. For example, you want to sell your widgets for £14.99 but you decide to set the price to just £7.99 at first, which will most likely make you the cheapest option on the market. Then, every week, as sales start to roll in, you raise the price by £1 or £2 until you reach your target price of £14.99. You can time the price increase to go up as you hit a certain number of sales or even organic ranking results, but it doesn’t change the idea behind this. Is that a good strategy? 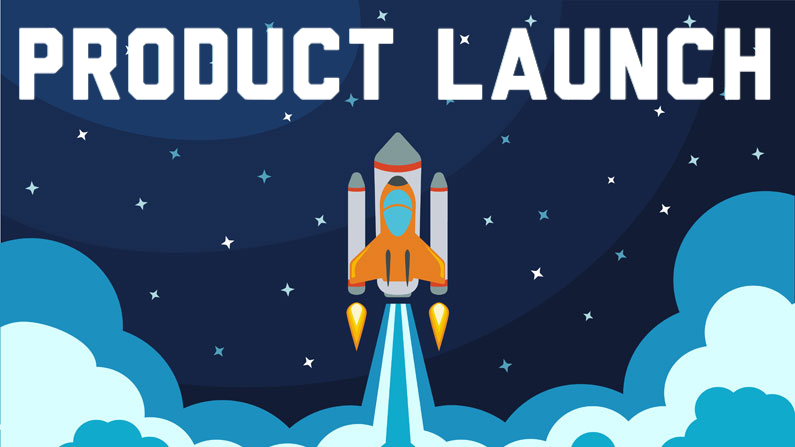 Is this how you successfully launch a new product on Amazon in 2019? My answer is No! It’s not a good strategy and it can do you more harm than good. Okay, to be completely honest, there is one benefit of taking this approach: you will get GOOD reviews in very quickly. People will leave good reviews because they will be getting a very good deal on your product—assuming, of course, that the product is still top quality, well-packaged, etc. You will have no problem getting your first reviews in quickly because, with the help of Amazon’s PPC ads, you’ll sell your product quickly due to the low price. But that’s the only positive thing about this approach! The rest—the many negative aspects—can actually irreversibly HARM your listing in the long run. How? The answer is simple: conversion rate. The more products I launch on Amazon, the more I realise that conversion rate is THE NUMBER ONE ranking factor in the whole algorithm. It makes total sense when you think about it. If people are buying a product at a higher conversion rate compared to the next listing, it means the listing with the higher conversion rate is seen by buyers as a GOOD deal, right? I can’t even imagine how sophisticated and complex Amazon’s ranking system is, BUT, no machine (yet) can do a better job at determining which deal is the best than real HUMAN shoppers! My take on it is that Amazon uses keywords, reviews, seller ratings, returns, etc. to determine which products to show in the search results. Then, it basically leaves it to the buyers to decide which products are actually the best. Ultimately, the decision to buy or not buy is made by real humans and this shows up as the conversion rate in our listing metrics. Take a look at two listings for same product with the same review score, same price point, etc. However, one listing has a conversion rate of 10% and the other 25%. You don’t have to be a genius to realise that something about the second listing is better, right? One out of four people who visit that listing makes a purchase, compared to just one out of ten people for the other listing. Ok, I hope that illustrates clearly enough why conversion rate is so important and why Amazon uses it as the main indicator for ranking purposes. But what does that have to do with the low price launch strategy? If you launch a new product on Amazon at a very low price, you will get phenomenal conversion rates. 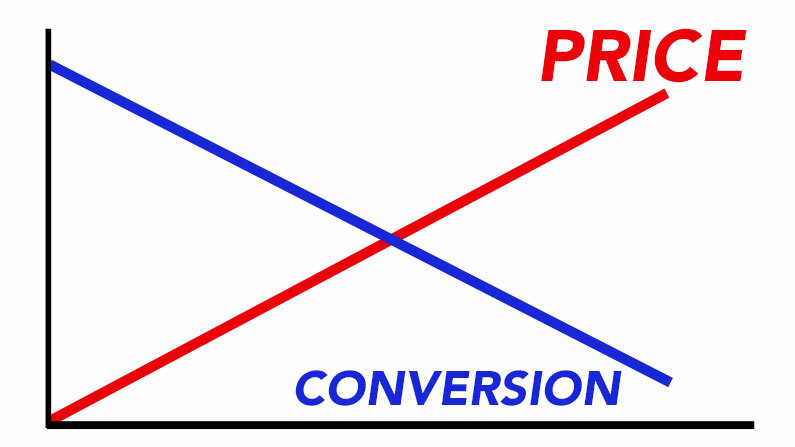 However, as you start increasing your price, your conversion rate will simultaneously begin to decrease, as a higher price usually means a lower conversion rate—that’s just how it works. Now, imagine how that looks from Amazon’s perspective. The algorithm sees a new product with great conversion rates, so it gives the listing a boost in the search results. Days go by, the price increases and conversion rates slowly begin to come down. Week by week, your listing conversion gets lower and lower. What kind of message does that send to Amazon? Not a good one, I’m afraid. As your conversion rates go down and your price increases (which most likely will also result in poorer reviews), your sales velocity also takes a downturn. Everything goes down! And it goes down in a STEADY and predictable way. If you show it graphically, like this, it looks like a TREND. This is not good. In fact, you may find it difficult to recover from such a strong history of consistently bad performance indicators, and your item may end up stuck somewhere on the second or third page of results. Of course, your conversion rate at the end of this process should still be +/- comparable to other sellers at the same price. If you continue driving PPC, you should be able to get sales and even decent rankings, but why take the risk? Why have this negative track record in place and risk Amazon putting your listing into some kind of sandbox? And there’s another thing to consider. As Amazon is becoming increasingly aware of these tricks and taking action to prevent them, they may actually see your stats and consider you as someone who is actively trying to undermine their system! And let’s be honest, it is what it is, you ARE trying to trick the system. Five years ago, such things went by completely unnoticed, but this is 2019. Amazon is a massive company with massive amounts of money at stake. Nothing slips by unnoticed now. Going forward, sellers have to be more careful than ever and not give any signals to Amazon that they are trying to trick the system because I promise you they won’t like it. Why do you think Amazon made the recent changes to how prices are displayed? It’s because customers were fed up with almost every listing having a SALE price all the time! It was a cheap trick to get extra views to listings—and Amazon closed that hole without hesitation. I have never been a fan of grey hat (and definitely not black hat) strategies. And yes, I know that because of that, I have probably left tons of money on the table. I still have ALL the original PayPal accounts I opened 10+ years ago. I have lots of eBay accounts and Amazon accounts that are in good shape. Why? Because I stay away from cheap tricks and try to do my best to play within the rules, even though it may hurt my sales in the short term. People are always looking for shortcuts—that’s where the problem lies. Everyone wants quick results, quick profit, quick rankings and millions in the bank. It may work out for some of those who find loopholes, but for most people, for those who are just following others, it’s really not a workable business model. So, please, stop looking for shortcuts and focus your time and energy on building a successful, sustainable long-term business! Create products that are the BEST out there, present them in the most professional way possible. This approach WILL guarantee you the BEST conversion rates on the market. From day one. At your target price. Then, once you get more and more reviews, build better rankings, and achieve a higher sales velocity, Amazon will see nothing but a POSITIVE trend across all your metrics and will push your listing higher and higher in the search via organic rankings. So do you basically not recommend deal sites like Jump Send? According to you these worked well two years ago, but not now? Does Amazon recognise reviews from sales not at full price? Yes, exactly – deal sites is a waste of time now. You will be MUCH better by spending that money on Amazon PPC ads or even Facebook ads. So how to launch your product / get your first sales + rankings? Have an amazing product/offer, amazing listing and it will convert under targeted PPC traffic. I also don’t advocate grey hat tactics. But surely even a well optimised listing, being brand new, with no reviews, no conversions, basically no nothing, will find itself on buried somewhere on page 20 of the listing for that category? Will PPC be sufficient to push this listing from a complete stand still situation up the hill to the point Amazon notices it and starts ranking it higher? Yes, of course, it is enough! You can get a brand new listing VERY quickly in organic rankings on the first page by doing PPC! The listing must convert of course and you want to target it properly (keywords that are highly related to what you sell) but it works and it works very well. With a PPC launch, you give Amazon the data needed (impressions/clicks/conversions) PLUS sales velocity – all they need to start ranking your listing.